Thanks for such a fun, quick knit! I’m not sure I’ll finish in a couple of weekends like you did but with the cold weather we are having in South Carolina, I should still have time to wear before it warms up! 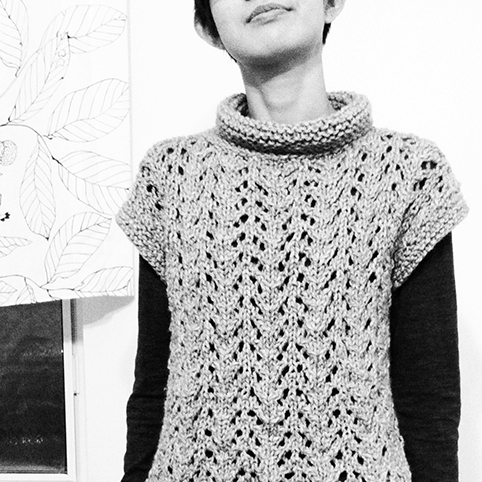 thank you so much for trying out the pattern Jeri! we’re having a very cold winter here as well, have been wearing my sweater a lot! Nice sweater! Love the stitch pattern! Come to Singapore then — sunny and bright all year long. Thank you for sharing the pattern. Love it. Hi! I just cast this off, and I LOVE IT! I added an extra 14 stitches as I am a bit bigger than you… but your directions on how to adjust the size were so easy, and i thank you for that. 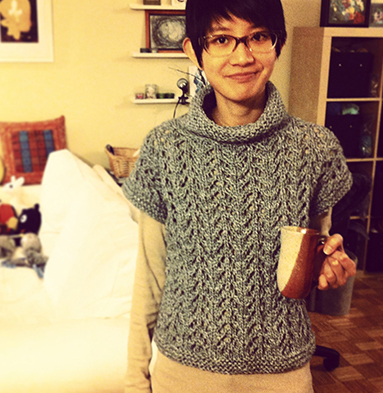 Additionally, A lot of the parts that you knit flat and seamed I did in the round. Thank you for writing such a clear, simple, and impressive looking pattern. It’s totally wearable too! 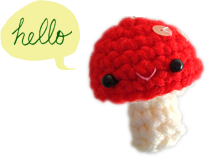 I can’t wait to knit up some more things listed on your blog, the knitting ones at least… I’m rotten at crocheting. Hi I love your pattern, but I can’t understand if 7 stitches (one lace pattern) is 2.25 inches wide, how can you only need to cast on 58 stitches for the total back and front all together? It seems to me that that would only be enough stitches for either the Back OR the Front? 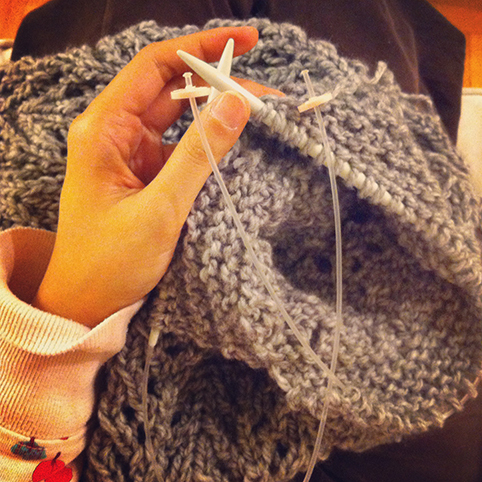 I am a new knitter, so maybe there is something I am missing? Hi Deb, thank you for visiting and giving the pattern a try! 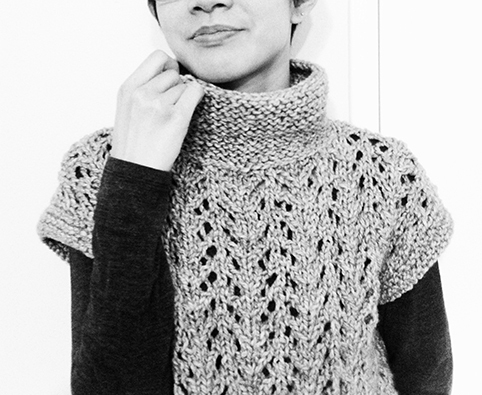 The sweater is worked in one piece but folded at shoulder and then the sides are seamed, rather than around. If I were to draw a diagram, the finished unseamed piece would be one long rectangular piece with a hole for neck opening in the middle, then the piece is folded in half lengthwise, and the two sides are seamed from underarm to bottom edge. So the 58 st CO is just for either front or back, not both. Hope this helps, happy knitting!